At the risk of sounding like a crazy cat lady, I’ve decided to dedicate this post to my kitty Lucy. “Lucy Goosey” came into my life in December of 2010. My husband wanted to get me the perfect gift for our first Christmas together as a married couple- and of course he knocked it out of the park. At the time, my husband’s co-worker was heavily involved with cat rescue groups and so he turned to her for help. She located Lucy at an animal shelter in North Georgia, and apparently she was just days away from being put to sleep. Lucky for Lucy, we got her just in time. And she’s lived quite the charmed life ever sense. I’ve been wanting to do a painting of her for a while and it was important that I capture her unique personality but I had trouble getting a good reference photo. 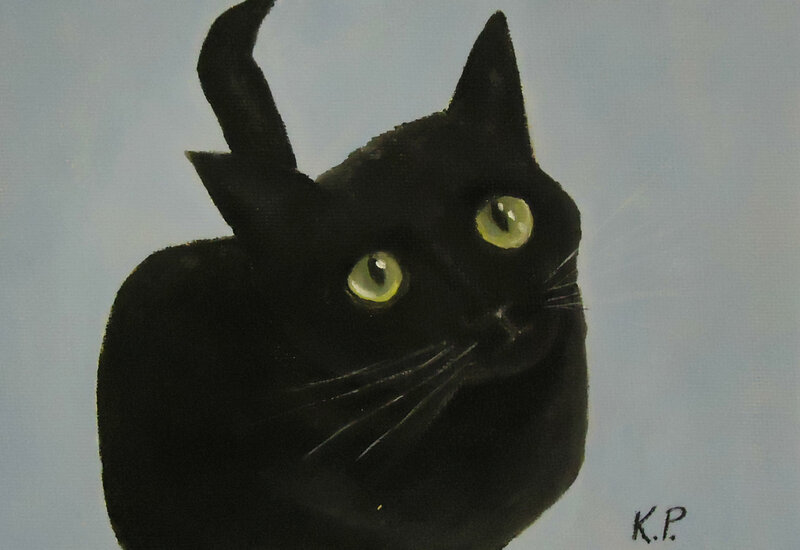 With all of that black fur, it was difficult to get the light just right in order to distinguish her features. Just to give you an idea of what I was dealing with, at night when she sits in the dark corner of the living room in “her chair”, the only thing you can see are her big yellow eyes. If they’re closed, she pretty much disappears. The oil paintings that I’ve posted here are from photos that I managed to take of Lucy in her classic poses. “Treat Time” is the look she gives us around 9pm every night when it’s time for her Whiskers Temptations. And “Bird Patrol” is of Lucy enjoying her favorite pastime – you guessed it – stalking the birds through our kitchen window. I plan to display these side-by-side in a double frame in my home studio. 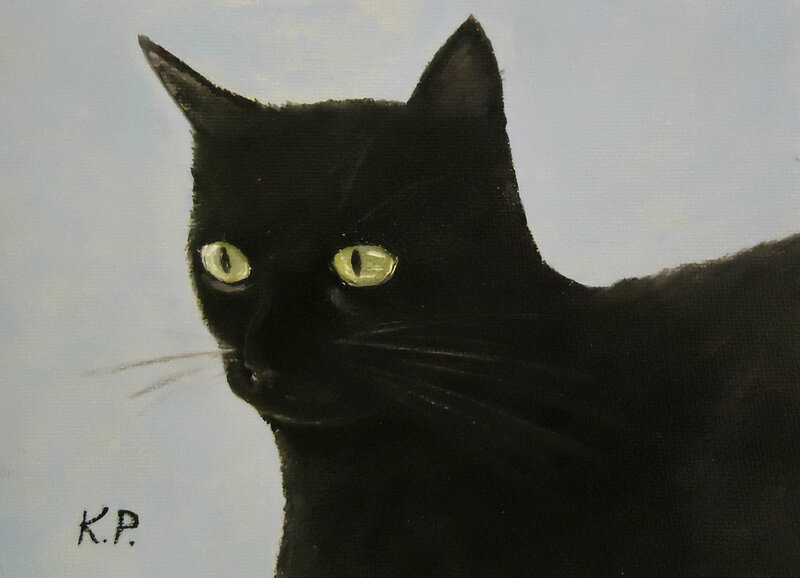 So how many cats out there have two of their very own painted portraits? Yep, quite the charmed life indeed.